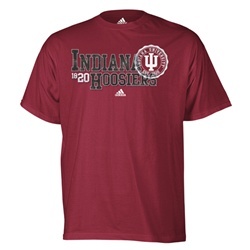 This superb new style from ADIDAS features a crimson team colored tee with a stylish new screenprinted logo across the front. Perfect for the new season! Unisex (mens) sizes. 100% Cotton.